Back when I could eat wheat, crumpets (and English muffins) were very much my favourite bread stuffs. Since the switch to gluten free I haven’t found a commercially produced gluten free crumpet that is vegan ( they all seem to have egg in them) so the only way I’m going to get my favourite breakfast treat is to make them myself.. 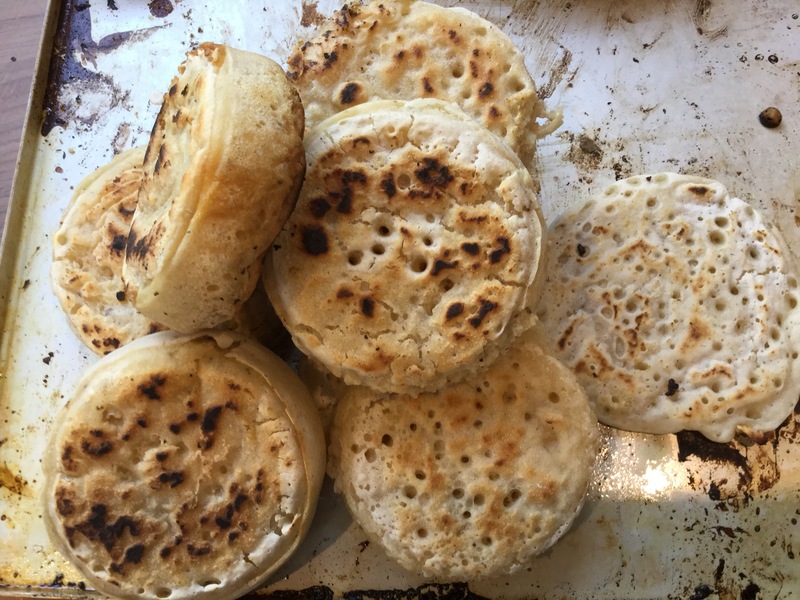 I was surprised at how easy this recipe ended up being, and the quality of the results too on my first attempt, these crumpets have the correct crispy crunch, the texture is fantastic springy with the correct ratio of holes, and the flavour is really good, yeasty and satisfying .. I am so pleased with these .. And they freeze .. Mix together all dry ingredients, add hot water and stir well to make what looks like a too thin batter. 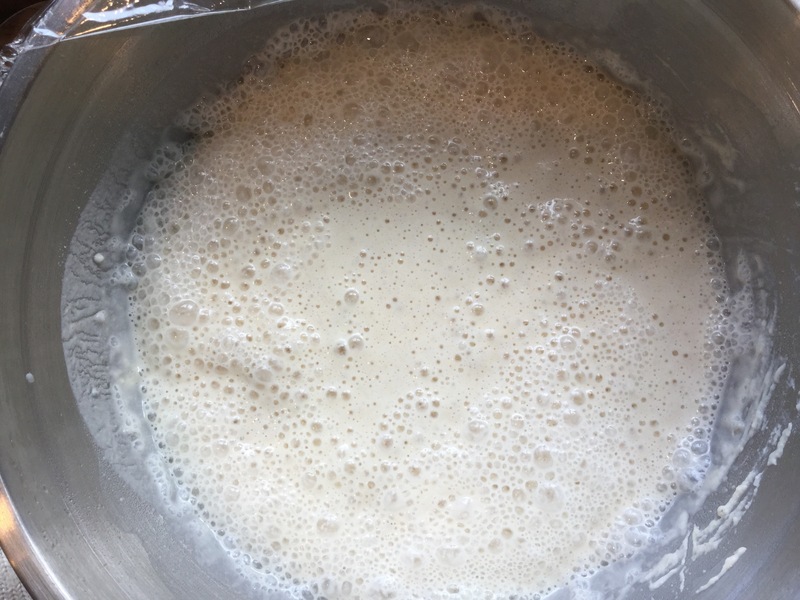 Cover the bowl and leave somewhere warm for an hour, the batter will become very bubbly, we need to maintain this as much as possible to get the correct crumpet-y texture best way is to not stir it again, and be gentle when spooning out mixture. Oil the inside of the crumpet rings and place in a pan, put on a low heat and let the pan and rings heat up for a few minutes. Place 4 tablespoons of the batter into each ring and wait… The crumpets need to be turned over when there are air holes on the top of the crumpet and it’s looking like the batter has set, it took about 5 to 8 minutes. top left not ready to turn, top right ready to turn, bottom turned! Turning the crumpets over is a bit of an art form, as they don’t fill the ring to the top, I tried a couple where they did and it was almost impossible to get them to cook through without burning the bottom! I found that holding the crumpet ring still with a pair of tongs and going round the inside of the ring with a sharp knife before turning it over worked well. 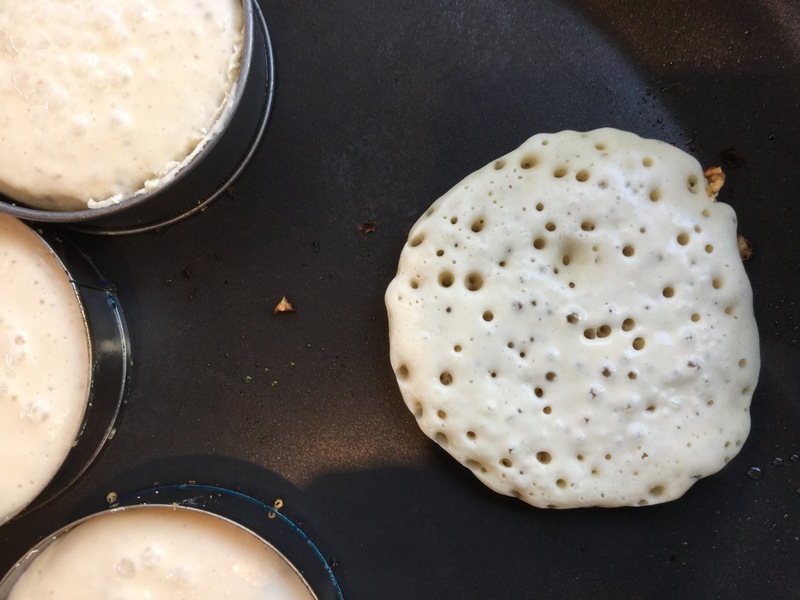 These also make rather nice pikelets (just use the batter like pancake batter, and pop a couple of tablespoons in for each pikelet) if you don’t have crumpet ring . Amazing! I can’t believe you can make them like pancakes! I’m trying this! 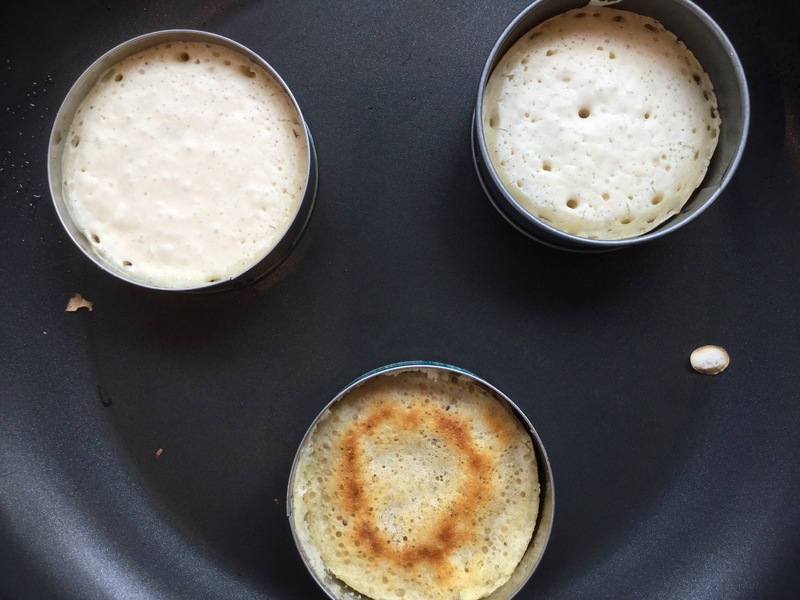 This was so easy and made amazing crumpets, taste great. Thanks Great recipe.